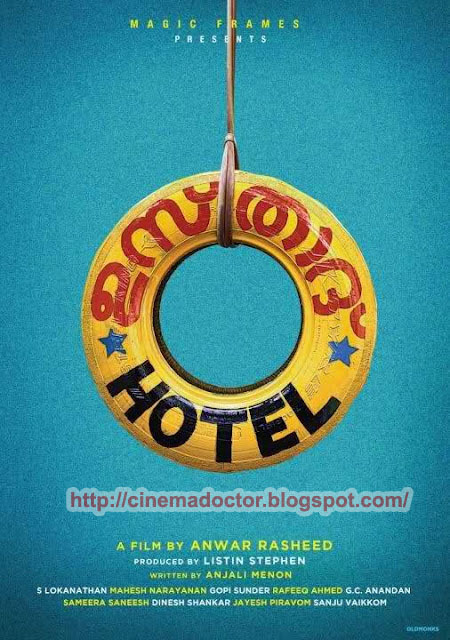 After Rajamanikyam, Chotamumbai, Annan Thambi, and Bridge (Kerala Cafe), Anwar Rashid is directing his next film which has been named Ustad Hotel. Mammootty's son, Dulquar Salman, plays the leading role and Nithya Menon plays the heroine's role. Thilakan acts in a very important role. 'Ustad Hotel' will be shot in Switzerland, Rajastan, Mumbai and Kozhikode and the shooting is expected to begin in December. Screenplay is written by Anjali Menon. Listin Stephen, who has produced Traffic and Chappa Kurisu, is the producer. Ustad Hotel promises to be a different kind of thriller. Anwar Rashid made a radical shift in making 'Bridge' successfully, which made people wonder whether it was the same person who had produced megahits such as Rajamanikyam, Chotamumbai and Annan Thambi, Continuing in the same trend, he has come forth with 'Ustad Hotel'. The encouraging attitude of viewers towards new films like Traffic, Salt and Pepper and Chappu Kurisu influenced Anwar's decision not to include megastars like Mohanlal and Mammootty in his impending experimental film.